Authorities in Germany are investigating whether a major Munich art gallery has been co-opted by Scientology, the controversial maybe-religion perennially in the crosshairs of the country's intelligence organizations. The Haus der Kunst, which describes itself as a globally significant contemporary art center, recently ended the contract of a high-level personnel manager after years of rumors and employee complaints about his behavior and his ties to Scientology, DW reports. Now, Bavaria's state intelligence agency is investigating how deeply the gallery may have fallen under Scientology's influence. Did Tom Cruise Try to Kill Scientology Documentary? The human resources chief in question, who was a contractor and did not work directly for the museum, was nevertheless involved with the museum for more than 20 years and took on substantial duties, including controlling hiring, work distribution and wages, German newspaper Süddeutsche Zeitung reported earlier this week. "Everything passes through his desk, almost all of us were hired by him," a museum employee told the paper. In November 2015, several dozen employees filed a joint complaint about their poor treatment at his hands. According to DW, staff members allege that the man exerted "great psychological pressure" on them. 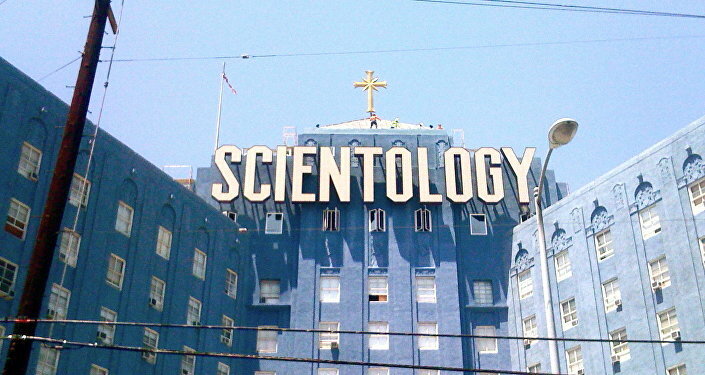 One employee told the supervisory board in February of last year, "I wouldn't be writing here if the man called Mr Scientology would only operate privately. The ideology flows directly into his work." He also said the manager had invited three board members to a nearby Scientology center. At least one other member of the gallery's supervisory committee is also thought to have tried to recruit colleagues to Scientology. However, more than a dozen of the sacked HR head's colleagues held a demonstration in solidarity with him last week, saying he's a victim of a "smear campaign," the Telegraph reports. Okwui Enwezor, director of the Haus der Kunst, sent a letter to employees earlier this week announcing the man's termination and later called a staff meeting on the issue. While Germany has not banned the organization, it does not recognize Scientology as a religion, as the United States, Australia, and a handful of other countries do, but rather as an abusive business practice. Because of what German critics call its abuse of human rights and "master race ideology," Scientology and Scientologists in the country have been monitored closely for the last 20 years. Germany regards the organization as having a fascist political dimension that is at odds with the country's constitution. Isabell Zacharias, a member of Bavaria's state parliament and cultural spokesperson for the Social Democrats (SPD) in the state, told German paper The Local, "This [Haus der Kunst] is a building with a certain history. It was built by the Nazis in the 1930s and is known around the world for this. And now there is a man in an important position there who belongs to an organization with fascist-like structures." If the museum was a private organization, she would not be concerned, she noted. "But this is a state institution which gets big grants every year." Zacharias is demanding that the Bavarian Culture Ministry investigate the entire management of the gallery, including looking into its previous two directors. The Haus der Kunst affair is "the most interesting Scientology case we've had so far in Germany," lawyer Arnd Diringer, who writes about Scientology in Germany, told DW. "If he deliberately hired other Scientologists, then he may of course have violated his responsibilities as a personnel manager," he said. "He is of course obliged to hire people impartially." If the man was found only to have used Scientology-based management techniques, it would be interesting to see if they are determined to be valid reasons to fire him, he said. According to DW, since 1996, Scientologists must declare their membership of the Church when applying for public positions. In 2007, the US criticized Germany's treatment of Scientologists in its annual State Department survey of human rights abuses. Germany Stands Alone in Offering Free University Tuition, But For How Long?